In the wettest and most open areas at the bottom of valleys, generally occupied by megaforbs (wet grassy environments), management through extensive pasturing is very effective and respectful of biodiversity. 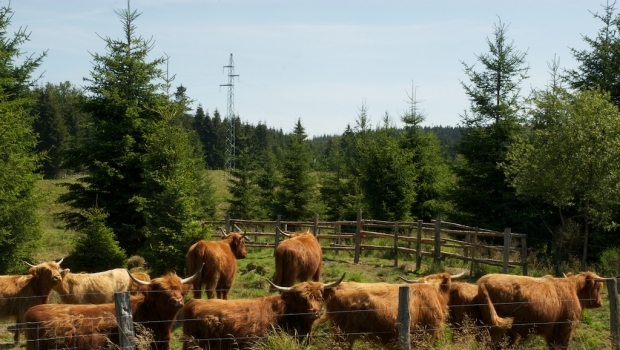 We will promote the installation of these pasturing areas near publicly accessible paths. The presence of rustic cattle will allow an awareness of nature conservation and biodiversity management to develop. In the majority of cases, we will set up an extensive pasture with a view to preventing shrubs and trees from colonizing, renewing grassy vegetation and creating a certain number of very localised disturbances which will diversify habitats. 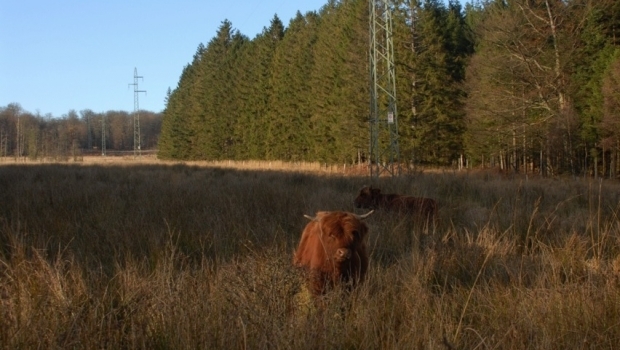 Included in the areas for pasture are damaged peatlands and deteriorated moors. Pasturing may therefore support the action of restoring peatlands, moors and sparse meadows (C3). These actions will provide a solution to the problem of dominant species such as moor grass. To allow this pasturing to go ahead, the LIFE ELIA project will set up the infrastructures to enable the pasturing of 20 hectares of moors, peatlands and valley bottoms. In other cases (hay meadows, dry moors, sparse meadows), an adapted form of mowing is required (periods and rhythm of mowing) which will help to maintain the vegetation at the right level for a multitude of plant and insect species. Some reptiles may also benefit from this. Contracts with local farmers for the management of these spaces in the context of AEM (agro-environmental measures) will be drawn up as part of the LIFE project. 20 hectares will be managed in this manner.